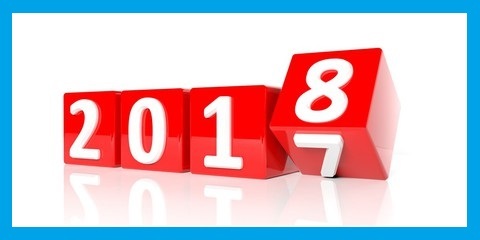 There were quite a number important events in 2017, some of which may affect the march of the world history in whole. The first thing is defeating the ISIL pseudo-state and change of the status of Jerusalem made by the White House administration. 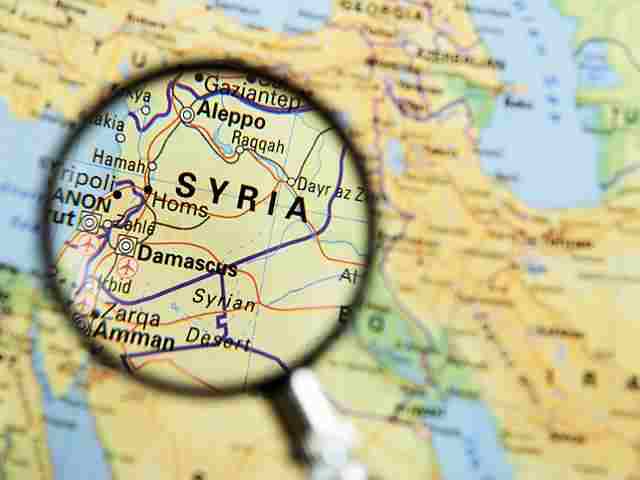 The radical turn in the Syrian conflict is put on a par with those events as well. The warfare setting change in Syria first took place in 2016, when Damascus with support of allies, including Russia, took a full control over Aleppo. This led to several peace accords and establishment of de-escalation zones in Idlib, Homs, East Ghouta and Dera’a. A number of central regions and Eastern part of the country remained under control of ISIL, and the most intensive battles took place there. Beginning from January, the Syrian army had been advancing through the Euphrates valley pushing extremists to the south. In August, positions of militants were punched to the bone resulting the Akerbat boiler. Final elimination of the enclave was completed only in October, and this event secured rears and released a part of the army. (A group of ISIS fighters ran to Idlib province where the Syrian branch of Al-Qaeda seized power by that time). The next important stage was deblocking of Deir ez-Zor (September 5). The terrorists had been besieging this big city for more than 4 years, and its deliberation had become an important bit of help for further advancement. After that, the government forces advanced further the Euphrates valley and by the end of November deliberated first Mayadin (the new “capital” of ISIL) and then Abou-Kemal. The last was an important strategic point as being located near the Iraqis border and the city opens direct communication Syria-Iraq-Iran. In this regard, the Americans tried to outstrip the Syrian army and their allies using SDF with Syrian Kurds played the main role, but never managed. At the same time, SDF managed to take control over almost all left bank of Euphrates with the most tempting resources the American oil-and-gas lobby interested in. Moreover, Raqqa felt under control of Kurds by the end of October. The tension between Damascus and Kurds remains, but the last hint at peaceful outcome. One of the reasons of that is the two-track policy of Washington which without batting an eyelash conned Iraqi Kurdistan leaving it alone with Baghdad. In other parts of Syria the government forces achieved significant success as well. First, the big part of border with Jordan was taken under control. This led to isolation of American al-Tanf military base which is said to be used for rehandling trained guerrillas to the center of Syria. Second, military forces liquidated an enclave of Nusrah (e.g. Al-Qaeda) in Beit Jinn area. But the pinnacle event was the intensive advancement to Idlib to expel the coalition of Tahrir al-Sham (the new name of Nusrah and allied groups) from the region. If Al-Qaeda fighters will be pushed from Idlib, it is most probably that the war is to be end in favor of Damascus and its allies. However, it is hard to forecast the end of the conflict taking into account external powers like the USA and Israel. The first and the last though are afraid to interfere in the conflict directly preferring to use proxies. Separate airstrikes not to count as not to cause the U-turn. Even the American hit of Shayrat base, in fact, was nothing but attempt of intimidation and was used more just as a PR action. As for political resolution of the conflict, it never began in practice. There are few reasons to this, but the main one is that overseas power did not reach its goals. Accepted strategy of war is still relevant. Hence, the stabilizing of the situation in Syria, first of all, depends on if the major world powers will be able to agree among themselves. However, one cannot miss the fact that the 2017 year have passed in Syria under the sign of Damascus, Moscow, Tehran and Ankara. (That said, the Turkish authorities are trying to play their own game maneuvering between different poles). To some extent, Baghdad can also be added to the four allies as the Iraqi militias took part in battles on the side of Syrian army as well. Besides, without Iraqis it would be hardly possible to cope with the ISIL groups. 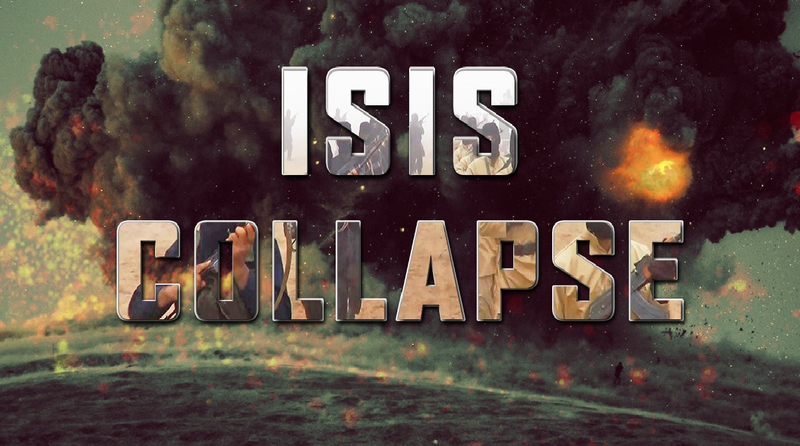 The defeat of pseudo-state declared by the ISIL leaders in 2014, is undisputed one of the major events of 2017. The main base of the extremists were Iraq and Syria. In Syria, the ISIS guerrillas were defeated by Damascus and its allies along with the Kurds and the international coalition. (Although the ISIS enclaves still exist in Syria the foundations of the group are destroyed). As for the Iraqi part of the ISIL, it was crushed mostly by Baghdad and the local militias. The US-led coalition and the Kurdish “Peshmerga” also took part in the battles, but the decisive contribution to the victory was made by the local army units and militias. The center of radicals was Mosul, and its liberating operation began in 2016. By the end of January 2017, government forces had established control over the eastern part of the city. Then the assault was dragged out and only through strenuous efforts and big losses the stronghold of terrorists was conquered. The official liberate date of Mosul is July 10, and though the operation lasted more than 8 months, one should not forget that this was the second largest city in Iraq and the “capital” of ISIL. After a short break, the Iraqis launched a new phase of the operation and by the end of August released Tal Afar. Soon Baghdad led an offensive on the central enclave of ISIS in the Hawija region. This area was also released in October. Thus, only the cross-border with Syria territories with the main cities are Al-Qa’im and Rawa left to the extremists. The last was taken in mid-November, and after that the operation to clean the desert of militants was conducted. As a result on December 9, end of the war was officially announced, and the 10th of December became the National Day of victory over ISIL. The appraisal of the victory over the ISIL is quite different. Some ascent it to heaven, others seem not to notice it at all. However, an unbiased view shows that without this victory the success in Syria would hardly be approachable as new reinforcements would come constantly from Iraqi side. On the other hand, the victory of Iraqis would hardly have been achieved without the Syrian operations. Namely, the simultaneous offensive in parallel contributed to collective success. The other question is how much did the international coalition, more precisely its crushing power – the US, want it? It is not a coincidence that Baghdad repeatedly accused the Americans of both deliberately delaying the operation and even direct support of the militants. Moreover, Washington is accused of evacuating ISIS brigades for the further use of their fighting potential. (Against this background, information about the movement of militants to North Africa, Yemen and other regions looks very remarkable). If so, why did the United States give permission and even participate in defeating the extremists? It is most likely the Iraqis simply pushed the final solution upon the ISIL problem by threatening to seek help not in Washington but in Moscow and Tehran. And the White House, where the president was just replaced, was forced to agree, especially against the backdrop of the successful offensive of Damascus and its allies, with the support of the Russian Military Space Forces. So why did the United States approved and even participated in defeating extremists? Apparently, the Iraqis simply pushed an irreversible solution of the ISIL problem by intimidating to seek for a help not in Washington but in Moscow and Tehran. And the White House, where the president was replaced, was forced to agree, especially against the background of the successful offensive of Damascus and its allies with the support of the Russian Aerospace Forces. The government of the Kurdish autonomy headed by Masoud Barzani had been trying to give legitimacy to the separation process from the international law point of view for a long time. 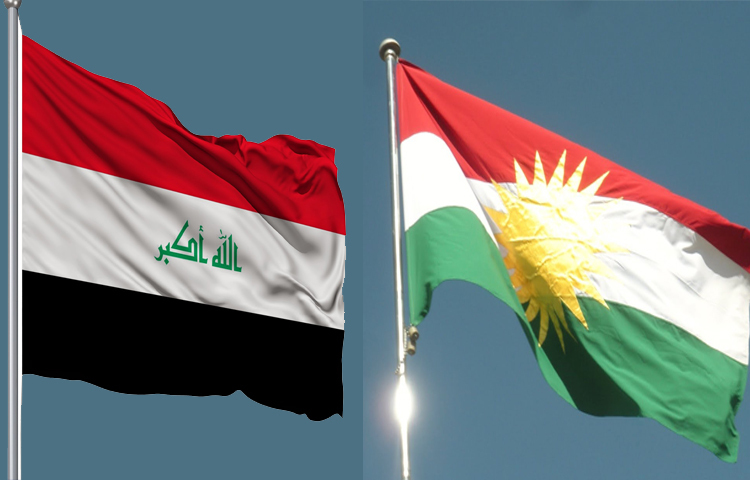 To this end, Erbil repeatedly appointed the date of referendum on independence but each time it was postponed for later. Finally, Barzani’s patience seems to have ended, and after all on September 25, 2017, the plebiscite took place. The results were obvious. However, the autonomy authorities decided to hedge calling the voting as “non-binding” poll. Everyone though understood perfectly that from this moment Erbil has a serious trump card in hands which could be used at any moment. The next what became clear that Barzani has no real allies. The only politician who openly supported Kurdistan separation was … Benjamin Netanyahu, and this is by no means a coincidence. Israel has never concealed that in the Middle East policy it bets on “friendship with the Kurds, Druze and other national minorities”. This corresponds to its strategic idea of ​​creating new states that would be disloyal to Arab countries. Division of Iraq, dismemberment of Syria, separation of a group of Kurdish states – all this in the interests of Tel Aviv. Washington, another ally of the Kurds, was more cautious in its turn. Even before the referendum began the State Department of the US called it injudicious. And right after the poll the Americans criticized Barzani and even called for his resignation. The position of the United States was a reflection of their geopolitical concerns about the reaction of Iraq, Syria, Iran and especially Turkey. And there is something to afraid of – large Kurdish communities in all these countries. For Turkey, Kurdish separatism is a very serious internal problem. As a result, Ankara, Tehran and Baghdad implemented almost complete isolation of the autonomy consequences of which are still reflected. A separate aspect is the fact that the referendum took place not only in the autonomy but also in Kirkuk, the oil center located outside the autonomy. All this led to a sharp aggravation of the situation. Suddenly, Baghdad and Tehran carried out a lightning operation: on the one hand, the Iraqi militia began a swift attack on Kirkuk, on the other hand, a factor of intra-Kurdish contradictions was used. Such pressure and speed were in defiance of all expectations. Especially if to take into account that the war with ISIL was not over yet. But everything went so quickly (from October 15 to October 27) that Erbil did not even have time to bring his troops. Again Kirkuk and a number of other cities returned under the Iraqi government’s control. After the Americans turned back on Barzani everything was settled. Soon the head of the autonomy, who, generally speaking, framed the region, resigned from his post, and regional authorities recognized the illegality of the referendum. This became a symbolic point of victory for Baghdad and Tehran which strategically correctly calculated all existing geopolitical realities. Qatar authorities are also mastered in international politics. This skill allowed them to defend a sovereignty against claims of the so-called “Arab Quartet” (KSA, the UAE, Bahrain and Egypt). The conflict between Doha and Riyadh has a long history. Qatar is considered to be a supporter of “modernism” and “political Islam»”, whereas Saudi Arabia has long adhered to “conservatism” and was very apprehensive about the Muslim Brotherhood movement. Escalation of contradictions between these two countries has happened more than once, but the last conflict could have end with complete collapse for the Qataris. 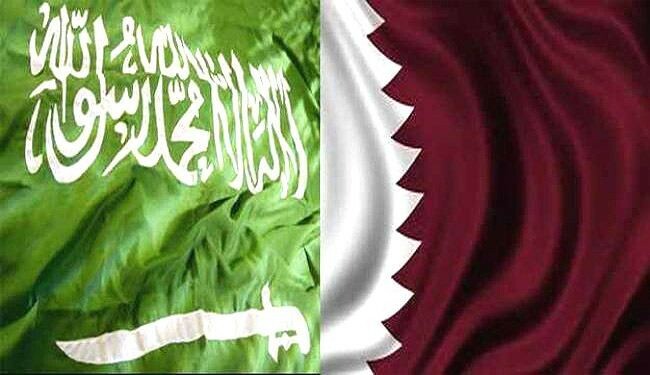 The reason for the new crisis was a publication in late May of a Qatar’s official on a state website which was followed by immediate reaction on the part of Riyadh and Abu Dhabi. Doha responded that the website was hacked. (Interestingly this was confirmed by the FBI which conducted its own investigation and even found traces of hackers). After regaining control over the website the publication was removed right off. However, the reaction was as if KSA and the UAE were expected for a cause, so they began a powerful anti-Qatar campaign. Soon the campaign was joined by Bahrain and Egypt. On June 5, these countries broke off diplomatic relations with Qatar. Trying to conquer the Qataris hurriedly the Quartet did not take into account allied relations between Doha and Ankara. Possibly this saved the Emirate from the coup and military invasion. Then Riyadh and Abu Dhabi began an economic blockade of its neighbor. But the Qatari authorities do not frighten easy. Beside, alongside of Turkey there was Iran who came to succor as well. The Korean crisis is developing in a similar to the Qatari way. The only is that a role of Saudi Arabia is played by the Americans. However, as in the case of Doha, Pyongyang was not easy to take so the war of sanctions began. Concerns of the expert community with the situation around DPRK is not so unambiguous as some media outlets sometimes try to present it. On the one hand, Pyongyang really flexes muscles by nuclear testing and launching ballistic missiles which makes Seoul, Tokyo and Washington nervous. On the other hand, not many know that in fact the new North Korean missile tests began after the White House rejected an initiative of DPRK on the deal. According to the proposal of Kim Jong-un, Washington and Seoul had only to distance the place of the US-South Korean military exercises in return for stopping nuclear and missile tests. However, the White House did not even consider this option. Moreover, the US sent to South Korea a special forces unit which liquidated Bin Laden before. After this Pyongyang followed the path of demonstrating its military potential. 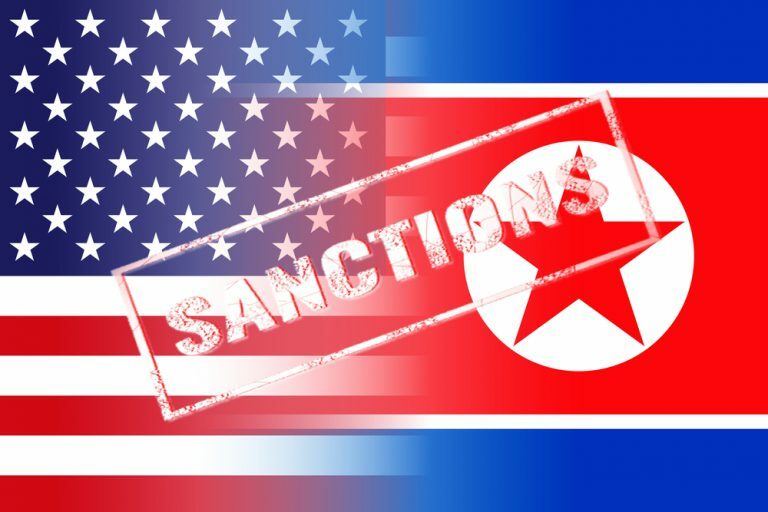 (A similar situation developed in 2005 when in the midst of negotiations with the North Koreans Washington, as if intentionally, set up extra requirements not mentioned in the almost signed agreement). In this connection, the question what is the reason for the Korean Peninsula destabilization arises? Wasn’t it an attempt of American strategists to press China, the main economic rival of the United States? If so, this version also explains the aggravation of the situation in Myanmar, the activation of militants in the Philippines and reluctance of the United States to leave Afghanistan. Each of these events individually may not pose a serious threat to Beijing. But cumulatively they greatly put pressure on the Chinese government’s life. After all, this destabilization interferes with the implementation of important geoeconomic projects like the New Silk Road. Do not forget about the Asian stock markets having a direct impact on the economy of China. The Korean crisis therefore is a reflection of the struggle between Washington and Beijing. And in the case of normalization of US-China relations there will certainly be no military conflict there. But can the contradictions between the two world powers so easily disappear? Hardly to believe… And this means that the flames from this and other fires from time to time will likely flare up. This event is not as much geopolitically important from the first sight. However, one should remember that there is a special attitude to Saudi Arabia in the Arab-Muslim world as both main Islamic shrines are located there. This kingdom is the biggest state in the Middle East and sets the tone for its neighboring Arab states. In addition, the Saudi authorities has influence on other nations like Egypt, Sudan or Pakistan. 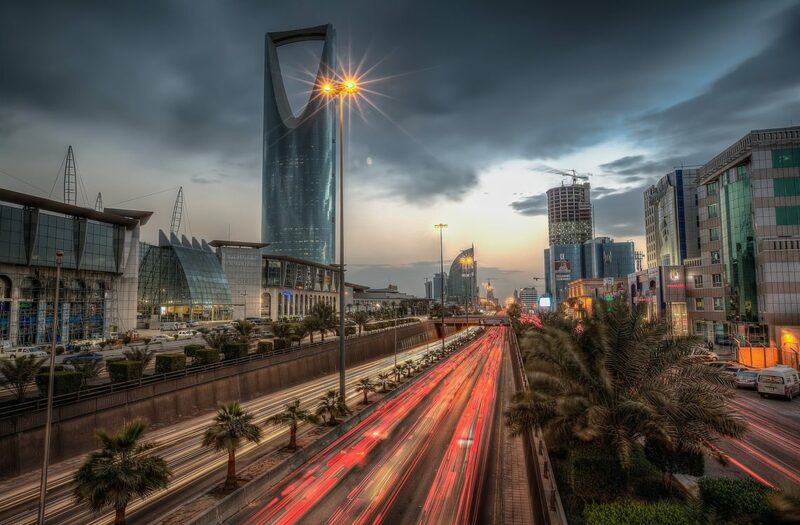 In this light, all processes in KSA affect other states, and straighten power of the king Salman’s son is just one of these processes as it indicates which course will take the kingdom. The process was initiated in January 2015, soon after the death of the king Abdullah who was succeed by his brother Salman, but reached its apogee precisely in 2017. First, Crown Prince Bin Nayef was forced to resign in June, and his place was occupied by Bin Salman. Still, there remained such powerful figures as the commander of the National Guard Mutaib and other princes. They were targeted on November 4, during the mass arrests in Saudi Arabia. (It is noteworthy that infamous “Blackwater” played its own role in this “night of long knives”). By the end of 2017, almost all inner opposition to Bin Salman either was under arrest or migrated or had to obey. In some cases, the death of princes took place causing, apparently, more fear among disgruntled. Of course, opposition sentiments did not disappear, but there is no longer any reason to speak of a consolidated force capable to oppose the Crown Prince. So, what is the specificity of the King’s son policy? First, it should be understood that it is a young generation with big plans and ambitions including regional leadership. And this means fighting against Tehran. Not directly, since Riyadh is not so strong militarily, but through “hybrid” fight. This is the reason of war extension in Yemen where common people, especially children, are taken as hostages. Hence, the support of the Syrian opposition and an attempt to influence the policy of Lebanon. The second peculiarity flows from the first one to some extent. It is a rapprochement of KSA with the new US administration especially with Jared Kushner, the senior adviser of the US President. And since Kushner is a apparent supporter of Israel, there is a rapprochement between Riyadh and Tel Aviv. The third aspect is a more evident bias towards the fight against the Muslim Brotherhood movement that predetermined the conflict with Qatar and the creation of the “Arab Quartet” – KSA, the United Arab Emirates, Bahrain and Egypt. Finally, another important detail is the change of ideology officially announced by Bin Salman in October. Whole 2017 year the kingdom followed this direction increasingly moving away from the old conservative foundations. And when the theological circles began to speak against, they were either replaced or simply arrested. According to some experts view, the Crown Prince wants to create a new Saudi state based on the ideology of Arab nationalism and secular liberalism with elements of technocracy. That is, the transition from teachings of Ibn Abd al-Wahhab to Arab nationalism based on the modernization of political, economic and social life, such as Western model with all the ensuing consequences, is being realized. 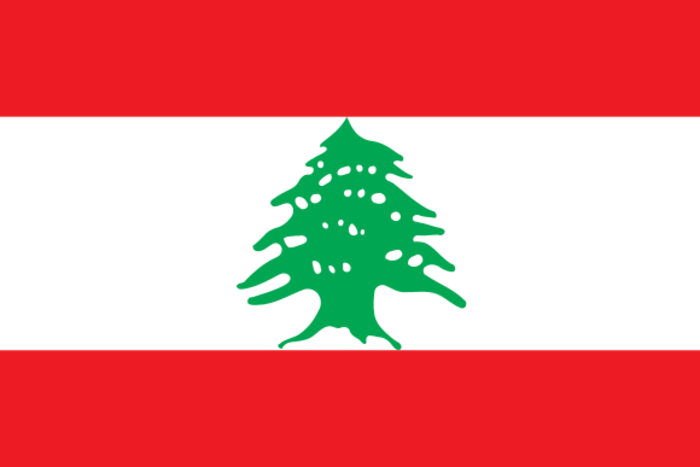 Changes in Saudi Arabia affected Lebanon as well. During the mass arrests of the princes, one of the main sponsors of the Lebanese premier Saad Hariri was detained. However, the main event of this line was the unprecedented retention of Hariri in Riyadh and the statement he made there concerning resigning from his post. Thus, in early November the world witnessed a unique situation when the head of the government of an independent state making statement about his resignation from the capital of other state. According to the world’s leading media, the situation developed as follows. In the morning of November 4, on the second day of his visit to KSA, Saudi Special Forces invaded house of Hariri and, taking away the security staff of the prime minister, took away his phone and insulted him in every way. After that, he was handed a text with a statement of resignation that he had to read on Saudi TV. After a while, the prime minister managed to inform the Lebanese President Michel Aoun about what happened. The last asked for help from foreign diplomats. In the end, the support of the Lebanese and the intervention of the international community allowed Hariri to return to his homeland. Soon, he announced that he remains the head of the government until May 2018. Thus, the Saudi plan almost completely failed. The experts are agreed that by its actions Riyadh was trying to change policy of Beirut. There was great discontent in KSA with politics of Hariri, especially with his agreement with Hezbollah. Besides, there are powers in Lebanon that exert pressure on the prime minister to break this relation and resign. It is no coincidence that the Saudis were strive to substitute the prime minister with his brother. However, these powers are not likely to understand that in case of their success a new regional armed conflict might flame. In this case, the winner side will be Tel Aviv that had already started constructing defenses near the Lebanese border. It seems that nobody in KSA thinking about it. Riyadh is obsessed with “idée fixe” to eliminate the “Iranian threat”. For this sake, Saudis seem to be ready to make an alliance with anyone and use everything that comes to hand. Already, the American media write about the long-term Saudi plan to fight Hezbollah. Within this plan, it is designed to arm Palestinians in the refugee camps in Lebanon, so that they unleash a new civil war in the country. 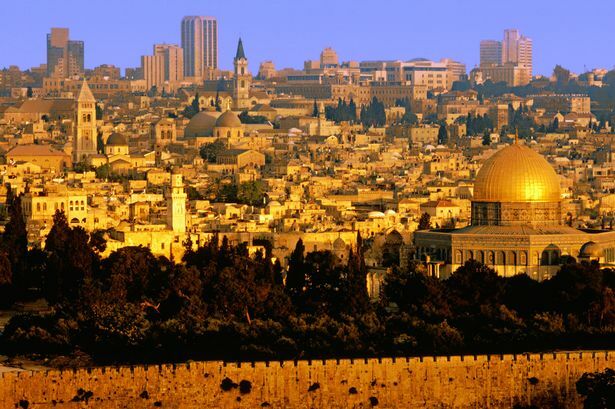 Changing status of Jerusalem made by the new White House administration December 6, is undoubtedly one of the major events of 2017. This decision opens the “box of Pandora” because, in fact, cancels the status quo of the Holy city for the three world religions. On December 18, the United States blocked the adoption by the UN Security Council of the Egyptian resolution calling for a repeal of the decision on the status. The document received 14 votes in favor, but Washington took advantage of the right of veto ignoring, thus, reaction of the Christian world. In response to all these unfriendly steps, countries of the Organization of Islamic Cooperation (OIC) encouraged international community “to recognize the State of Palestine, as well as East Jerusalem as its occupied capital.” The Palestinians, on their part, decided to freeze the agreement with Israel signed in Oslo in 1994. At the same time, Abbas announced that the United States has lost the role of an intermediary in the Palestinian-Israeli conflict and, henceforth, no proposed plans will be adopted. It should be noted that the media have repeatedly mentioned a new plan for conflict resolution. According to the New York Times, the Crown Prince Bin Salman offered it to Abbas. In this offer, the vast majority of Israeli settlements are not being evacuated, Palestinian refugees and their descendants do not receive a right to return, the capital of Palestine should be only one of Jerusalem blocks – Abu Dis, but not Jerusalem itself. (In general, KSA and their allies completely “distinguished” themselves in this issue. For instance, the head of the Middle East Center for Strategic and Legal Studies in Jeddah urged the Arabs to reconcile with Israel’s claims to the Holy City, while the head of the Bahraini Foreign Ministry called the Jerusalem as the “secondary” issue). Voting in Catalonia took place in October 1, marked a new stage of the European decentralization. The first vivid robin in this process was plebiscite in Scotland that was followed by the so-called “Brexit” that launched a procedure of withdrawal of the United Kingdom from the European Union. The Catalan referendum did not cause any serious consequences yet. However, the key word is “yet”. It is probably better to leave assessment of Catalan claims on independence to Europeans themselves, but some points are needed to be mentioned. For instance, one cannot seemingly invisible links of a number of Catalan politicians with the well-known financier George Soros. Thus, Artur Mas, the former head of the government of Catalonia, had close contacts with the “Independent Diplomat” organization sponsored by the “Open Society Institute” (“Open Society” is commonly referred to as the Soros Foundation). And his successor Carles Puigdemont worked with the leading participants of this foundation. 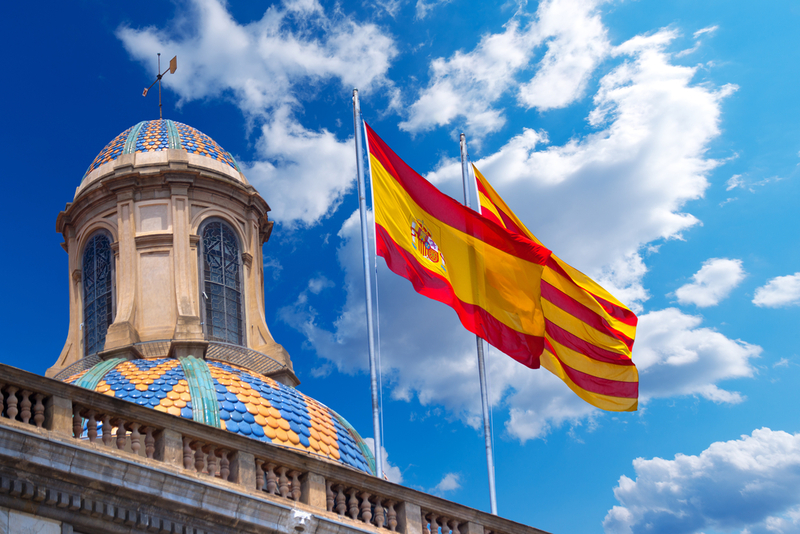 The second factor is that the population of Catalonia is divided in two almost equal halves – supporters and opponents of separation from Madrid. This is confirmed by the referendum turnout (less than 50%) and the new regional elections on December 21 (supporters of separation received 70 seats out of 135). The last important factor is that other Spain regions immediately followed Catalonia. Above all, this is the Basque country, but one should not forget about Galicia. In addition, there are other Spanish provinces, for example, Andalusia, where a number of local politicians are also trying to retrace the Barcelona footsteps. In general, once releasing the genie from the bottle it is quite difficult to drive him back, especially when the “phantom of separatism” is walking around the world. In France problem regions are, first, Corsica and South Basque land. In Italy – Sardinia, Padania, Venice and South Tyrol. In Belgium – Flanders and Wallonia. And that is not to mention the Balkans where the situation is even more tense. Almost in every Balkan country, there are potential hotbeds of tension. Probably the most dangerous of them are as follows: in Macedonia – “Albanian, Greek, Serbian and Bulgarian questions”; in Bosnia and Herzegovina – Republic of the Serbian and populated by Croats Herzeg-Bosnia; in Serbia – Preševo (Albanians), Sandžak (Bosniaks) and Vojvodina (Hungarians); in Romania – Transylvania (Hungarians). Also, not to mention about the issue with the Kosovo. And it is far from the whole list. The rapid growth bitcoin floating does not quite fit into the list of major events of 2017, since it has no direct connection with the previous paragraphs. However, it would be wrong to pass by the rise of cryptocurrency. After all, this phenomenon is something new to some extent, and it is still unknown whether electronic money will relegate to the dustbin of history or will continue its take-off. 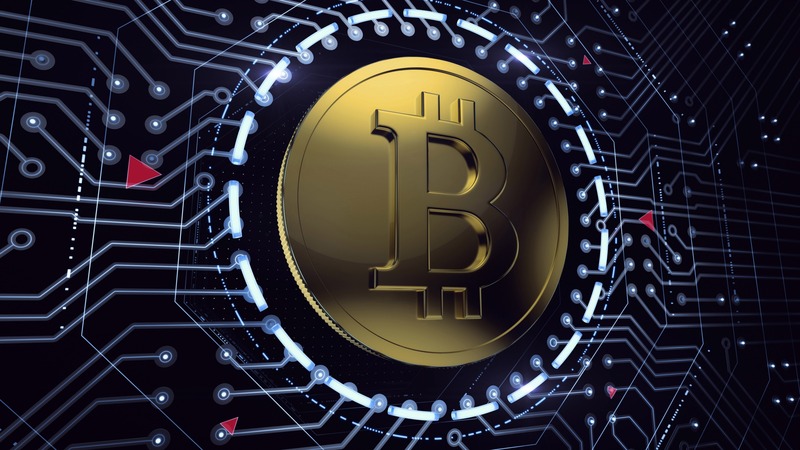 As is known, the functioning of cryptocurrency is based on the technology of blockchain also known to many users from the similar torrent program. And for an emission (increase in money supply) of digital money special technologies like “mining” are used. There are several leading cryptocurrencies but the most popular is the bitcoin. The first issue of this electronic currency took place back in 2009. For a long time it remained the domain of sympathizers: for 1 bitcoin one could buy only two pizzas in 2010. After, there were several breakthroughs when a bitcoin reached almost $1,000. However, the series of ups were followed by falls. In the autumn 2017, the bitcoin began to rise rapidly and in the middle of December reached its historic maximum breaking the mark of $20,000 per a bitcoin. At the end of the year, its value fell below $ 13,000 and after that, the so-called “corrective growth” began. So, what is the reason for such a rapid rise of this cryptocurrency? One of the reasons, probably, is introduction of futures (i.e. pre-specified contracts) for the bitcoin. Futures are a legal stock-market instrument and, therefore, increase the number of investors, as they are no longer afraid of possible risks. This suggests that virtual money is gradually being legalized and beginning to enter into everyday life. (In this regard, attempts to use bitcoins by terrorist organizations are noteworthy). Obviously, the fall of bitcoins was the result of Singapore decision announcing that the cryptocurrency is not legal tender. Similar situations have happened before. In September 2017, the state regulation in China also brought down the bitcoin rate. It should be noted that a number of states including Muslim realized the danger of virtual money for their national currencies and began actively to take defensive measures. For instance, one of the first who tries to take cryptocurrencies under tight control in South-East Asia is Malaysia. Morocco was the first Arab country to ban the use of digital currencies. But the Venezuelan authorities decided that instead of prohibitions “it is better to ride the wave” and announced creation of their own cryptocurrency. Thus, on the one hand, digital money gradually come into use especially since their analogues in a form of e-purses and online banks have already been legalized and are popular. However, on the other hand, cryptocurrencies are considered by a number of states as a threat to existing economic systems. In this regard, protectionist, blocking measures are growing and it is more likely that this process will continue. (On January 16 2018, the bitcoin rate collapsed by more than 26% as a reaction on measures taken by the Chinese authorities as one of the reasons). In addition, the Syrian situation changing in favor of Damascus its allies is likely to keep on in 2018. In addition, there is a great chance for the beginning of military campaign of Turkey and supported armed groups against the Kurds in Afrin and Manbij. A political castling is expected in KSA. The Crown Prince Bin Salman may be proclaimed king instead of his elderly father. And this will be a culmination of strengthening power of the Saudi king’s son. In Africa, there is a potential threat of a new military conflict for natural resources between Egypt and Ethiopia. Here, Sudan and Turkey, which builds a military base in Sudan, may come to alliance with Ethiopia. Relocation of ISIL fighters to North Africa – Libya and Sinai Peninsula – makes great danger. After all, in case of a large-scale offensive of extremists, the Libyan and Egyptian military forces can hardly become a serious obstacle. Especially Libya, which is a territory of chaos and anarchy. In Europe, the main considerable threats are a “parade of sovereignties” and “hot Balkans”. The Balkan region is of particular concern. Here, the number of contradictions and internal problem nodes is growing more and more. And last, one cannot miss Asia, first of all, China which is being surrounded gradually by hot spots. This poses aggravation of old conflicts and emergence of new ones. Understanding and awareness of these and other problem zones should lead to the search for optimal ways that help to extinguish those embers that will sooner or later lead to new fires. After all, the fate of not only these zones but also their neighbors depends on it.